Intended Audience: Anyone and Everyone! 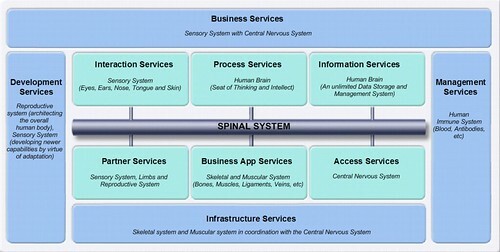 Above picture shows the SOA Reference Architecture defined by IBM. A closer look at it shows the different aspects of the SOA. 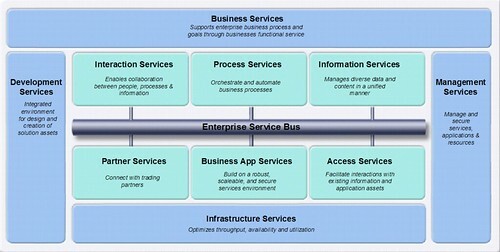 The Enterprise Service Bus is the core integration backbone of the SOA. The rest of them are self-explanatory. Without delving much into this, lets quickly jump back into our mainstream discussion - God's Own Architecture. Lets extend SOA to the Human Body. As we all understand, the human body is one of the most complex, robust, flexible and agile systems. The below diagram is what I used to explain SOA to a doctor friend of mine. A closer look at the above diagram will be good enough for you to understand the similarity. 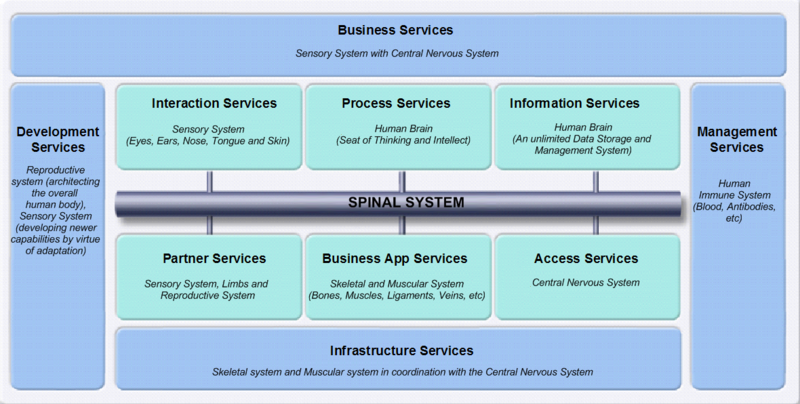 The Spinal System is the core of the human body (Its the integration layer!). The human brain takes care of the Process and Interaction Services. The human body is the most complex implementation based on SOA! This is very obvious with the fact that one cannot map a certain part of the body to only one aspect of SOA. For example, the human brain is so complex that one cannot rule out the participation of the human brain in Partner Services or Interaction Services. In simple terms, apart from making laypeople understand SOA, the attempt here is to convey that Service Oriented Archtiecture (SOA) is God's Own Architecture (or, atleast close to it!). SOA has to be applied to the context of an industry to be able to understand its actual business value. In this article, we took the human body as an example. One might also want to consider the Solar System (with the Sun as the ESB, and so on) when explaining SOA to an astronomer. So, Remember...SOA as a plain technology or business statement DOES NOT sell (and the world has seen this)! Industry content is the key! Are you learning to drive a car? After watching the Singapore F1 (which was quiet different/funny/disappointing in different ways), my cousin sent me this interesting video link, which I think you will enjoy too. Good luck with your personal stunts! Google's latest power-packed offering Chrome, has taken a tangible percentage (2%) of the user market right on day two. With still a quarter to go in 2008, the Industry Standard predicts Google Chrome to reach 5% market share by end of this year. Search and Address bar is no more two different things - Google Chrome has just a single place which lets the user to search (with suggestions) and type a website URL. This saves a lot of time! Just imagine (in a typical browser) the time taken in opening a new browser window, getting the search engine (of course its Google!) to load, and typing the search phrase...Phew! Saves your energy and unnecessary mouse movement - Even creating bookmarks is simpler...just at the click of a button! You no more will see a download window coming in between you and the browser (it's so annoying to see this download status window in IE or Firefox!) - When you download something, it gets displayed in the bottom of the browser...how pleasant it is! All tabs get displayed as separate resources in the Windows Task Manager - You can now force end a process that just takes off one tab in your Google Chrome browser! Using a shared computer? Don't want to let others know what you are browsing after you are done? - Google Chrome offer a privacy mode, aka incognito mode. It prevents the pages you browsed from appearing in the web history! Did you always want to use a browser that feels light to both the system and your eyes? - Google Chrome is for You! Oh yes, we should always remember that Chrome is just a few days old! There are sure to be some hitches in it, and I'm sure Google is already working on them. Remember, Google has mastered the art of Perpetual Beta. This very fact drives the assurance down the users' minds that they always keep innovating....and, Innovation is not a Destination..but a Continuous Process. *Lean Browser - Google has successfully adopted the lean approach in removing unnecessary (or) non-value adding artifacts (Kaizen) in its Chrome. 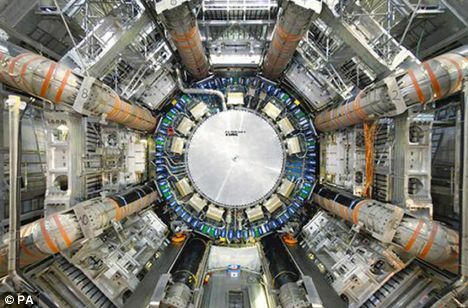 My hearty congratulations and wishes to folks at CERN who successfully started the Large Hadron Collider. You guys have put in months and years of hard work into this project, and I wish you very good luck in successfully completing this project. The God Particle will soon be known to the world! I've seen a lot of buzz around SAP and heard a good number of my customers/partners raise this concern in the past many months. I've also been following the series of articles by Thomas Wailgum at CIO.com on this topic. In this article, we'll try to take a few steps back in time, and understand how it started. We'll also see how it evolved over time. Towards the end, we'll also see, as leaders in the IT space, a way to tackle this. The its and this' refer to the ERP bugaboo. Over the next few years, these customers of SAP were happy with their investment decisions. These companies started to implement these solutions for their enterprises. But slowly, over a period in time, these companies pretty much reached a stage where they completed implementations of these solutions. As their corporate footprint and needs increased, they sought SAP's assistance to deploy these solutions for the newly inducted companies as well. In the background, there was this monster called complexity that was growing. SAP was continuously adding newer features and releasing newer versions of these solutions. With the new deployments of SAP's solutions, these customers slowly started to realize that they needed to manage these different versions of solutions across their enterprises. This is when SAP introduced their Netweaver integrated technology platform, which was intended to help manage this complexity of different SAP versions. However, they later chose to call this a service-oriented application and integration platform. Assuming the above fixed the problem of complexity, these companies started to look at the other side of the business - beating the competition and creating a unique business value to their customers. This resulted in the business teams of these companies coming up with some strategic initiatives and strategic business processes. This is when the ball was thrown back to the IT Leaders and CIOs to think of ways to implement these strategic business processes. Still enchanted by SAP's ERP solutions, these IT Leaders resorted to implementing these strategic business processes in the same SAP platform using the programming languages like ABAP, etc. Now, the monster started to surface again! This time, it came with a greater force and impact. With the existing complexity of managing different versions of the SAP ERP, the companies were now put through a challenge of having to deal with different versions and fixes of these individual custom processes/modules that were deployed to address their strategic initiatives. Let us now try and remind ourselves that SAP ERP was designed to address the resource management related processes (related to corporate operations, financial processes, human capital managment and the like). These processes are typically found in every enterprise, whatever industry or business they may be. When we talk about strategic business processes, we refer to those unique business processes that help an enterprise/corporate differentiate itself from its competition. The truth is that SAP's ERP was NOT designed to handle this! So, it was a Square Peg in a Round Hole. Start differentiating between your strategic business processes and your ERP processes. Keep the latter in your existing ERP and move the former to a common, enterprise-wide platform that conforms to IT and Industry Standards. It's very important to think about the IT and Industry standards because your enterprise is bound to have disparate lines of businesses and different softwares from different vendors. You will need to have a platform that will seamlessly integrate these different systems and software. From an IT Standards perspective, Service Oriented Architecture (SOA) has is a proven approach that offers the maximum flexibility and seamless integration capabilities. Though SAP-AG chose to call their Netweaver platform as a service-oriented application and integration platform, it isn't really so. Just because your integration platform allows its applications to be exposed as Web-Services, does not mean that it is SOA compliant! 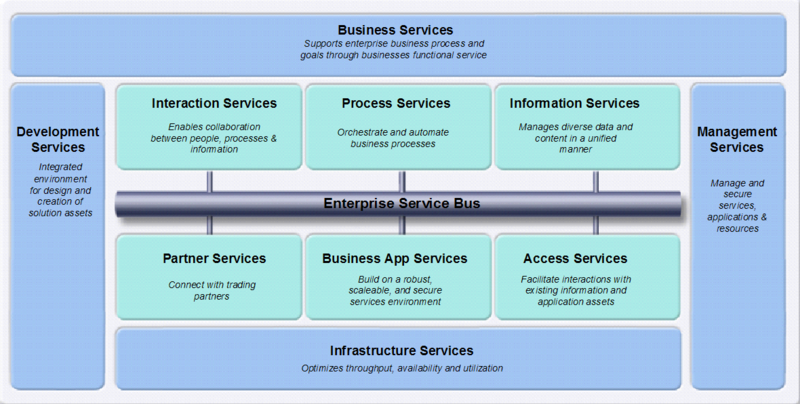 To know more on the difference between SOA and Web-Services, read this article. To summarize, take a closer look at your ERP usage and try to separate out those non-ERP business processes. Adopt the SOA approach to your enterprise's IT architecture. It helps your business and IT be more flexible, agile and robust. The Big-Bang Experiment - Whats this all about? So what is this experiment all about? Well, this experiment is about the recreation of this effect, like how Georges Lemaitre proposed in his original theory. The core of this experiment is a 27 kilometer long tunnel-like machine called the Large Hadron Collider (LHC) machine which is placed under Swizz-French border. Scientists will attempt to smash particle beams together at close to the speed of light inside this machine, that is said to simulate multiple smaller versions of this Big-Bang. 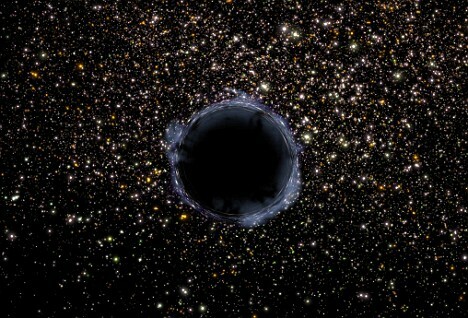 One of the key aims of this experiment is to find the Higgs Bosom. Scottish physicist Peter Higgs pointed out in 1964 to such a particle (also called the God Particle) as the force that gave mass to matter and made the universe possible. So, why is the world looking at this with caution and tension? This is because there has been some talks (or rumours?) that this experiment will create "black holes" of intensive gravity sucking in CERN, Europe and perhaps the whole planet, or that it will open the way for beings from another universe to invade through a "worm hole" in space-time. So, is this really safe? Well, at this point in time, the scientists at CERN have assured that this is highly safe and that the LHC is well sealed and safe. All we can do at this point in time, is to wait till tomorrow. I wish the scientists at CERN a very good luck and I'm confident this experiment will be listed as one of the most successful scientific experiments conducted by mankind! For more videos on this experiment, go here. Be bold in letting the world know what you think: "One of my mentors taught me that if you think something is right, and have the right reasoning behind it, you should let the world know. Critisisms are always bound to be there. But always use your experience and judgement to take the decision you feel is right". I've realized that people love to work with leaders who are bold enough to voice their thoughts, than with leaders who take things as they come by. Select the right set of people and give them smaller chunks of the larger work you are assigned with: "Another mentor of mine gave this piece of advise to me. I used to do everything myself...however big the work was. This piece of advise impacted me in a very big way. Its taught me how to select the right people to assign work. Its taught me to trust people and has hence given me the time to focus on larger challenges. Many Indian companies which are into the services outsourcing business, have been going though a rough patch with the rampant recession in the United States. Many Indian services companies have a larger share of customers in the United States. Due to the growing recession, many companies in the United States have been looking to reduce their IT (Information Technology) expenditure. As a result, these companies have started to pull out projects that were earlier queued up for outsourcing. Over the past decade, many companies (whatever their main business has been), have increasingly got dependent on IT. This has resulted in a greater portion of the investment capital being assigned to IT. It seems like many of the companies have had a stereotyped way of thinking. While they've been thinking of reducing IT costs, they seem to have missed the bigger picture. In many cases, a little bit of extra investment in the right IT initiatives, can help optimize their business and hence save overall costs. To better understand, let us take a little deeper view into the increased spending by companies in the SAP related initiatives. 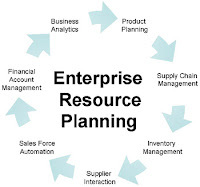 Many companies have increasingly invested a lot of money into ERP (Enterprise Resource Planning) over the past many years. Specifically, many companies have implemented a lot of their ERP processes using SAP. Over time, due to an increased need to have a single IT platform (and other needs like costs, etc), companies have gone ahead customizing SAP to implement a lot of other business processes. Today, many of these companies have been spending a lot of money to customize SAP to implement some business processes that help them differentiate from their competitors (strategic initiatives). These costs are primarily to manage this customization and the resulting problems/complexity. The truth of the matter is that SAP was designed to manage resource management initiatives/processes and not to strategic initatives/processes. Trying to implement strategic business processes in SAP has resulted in unnecessary expenditure and a resultant growth in complexity. The above is just one example of how companies catch the tiger by its tail and lose controlove rtheir IT infrastructure. The solution is NOT in cutting these costs, but in investing in the right IT initiatives. Information is the key to any business. By effectively utilizing this information, companies can get deeper and better insights that can add value to their businesses. On the other hand, designing the right and optimal strategic business processes can help businesses reduce costs. This month's McKinsey Quarterly article titled Managing IT in a downturn: Beyond cost cutting suggests some interesting ways for companies to look beyond cost cutting. It also presents some interesting facts and figures to support the same. I've started to learn swimming just a few days back. Though I did learn this wonderful sport close to about 15 years ago, I've never felt that I knew it well. I've been going to this lovely big swimming pool in Chennai. It's the Shenoy Nagar Swimming Pool, which is maintained and run by the Sports Development Authority of Tamilnadu (SDAT). The pool is well maintained and also has a pool that can host competitions. Having been forced out of running for quiet sometime now, I'm looking at swimming to help me with the strengthening of my knee and also to cut the extra flab that started to accumulate ever since I stopped running regularly. While I was searching the internet for details on the calories burnt during running, biking and swimming, I bumped into the following lovely chart at Nurtition Strategy website. Thought it would be helpful to many of us here (including for those who do household work). Here are the top three winners of Slideshare's World's Best Presentation Contest. I'm simply amazed by the way each of the presenters have taken time and effort to create each of those beautiful pictures. As we see, the key of a good presentation is to hit the right-brain and trigger thoughts from color and creativity. For the rest of the winners go here. Its finally taken a Google to break the Microsoft trend! I just downloaded the new Chrome, and it took me a few minutes before I could come to believe that this was a web browser. Yes, it feels lighter than feather. I'm not exaggerating! Microsoft created the design of having the notion of a Menu. The terms File, Edit, View which get featured prominantly in every Windows application was something that Microsoft came up with. There were many players who have tried to break this monotony. Apple did try to change this with its Mac OS styles. Mozilla did try to improve on the browser capabilities with its Firefox. But it is Google that brought in this disruptive innovation into the world of web browsers. View a larger version of the above image here. Google Chrome has also done away with the traditional status bar that we find in the bottom of Microsoft's Internet Explorer and Mozilla's Firefox browsers. From a mouse-click perspective, Google Chrome also seems to effectively reduce the need for a right-click. Even to open a new tab, Google has a small plus-sign that you can click. While lean principles have been the secret behind Toyota's success in the manufacturing space, Google has successfully adopted the lean approach in removing unnecessary (or) non-value adding artifacts (Kaizen) in its products. As time has gone by, we've slowly seen Google take over more of the internet than any other company in this space. While this has been really interesting to many of us, its getting a bit mundane in my view. Will we be able to see the Clash of Titans anymore? Is there a company or individual which can create a Blue Ocean? I'm looking for people to build a brand value around something. People with good writing skills, creative thinking and good networking skills can contact me. Even management school trainees looking for real branding experience can write to me. The success of many key people has always been a sight to watch. The way they get to face and address the most challenging of problems (so to say) is always worth a 'replay'. We all have this curious open question in the top of our minds "How are successful people successful?" Even successful people have these mortal limitations. How do they overcome this? 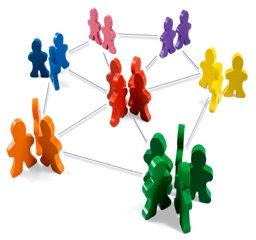 Here is the answer - They surround themselves with a very intense and valuable network of people. In the IT (Information Technology) parlance, this is similar to the internet - You have access to all the information as long as you stay connected to the internet. You are not bound by the limitations of your hard disk (brain) or your system performance (the human ability). Utilize your network - There is no point owning a Mercedez and not using it! Ask questions (however dumb it may sound) - It's not a sin! Remember, Rome was not built in a day. So is a good network. It's a evolving thing. A good network is like a Golden Banyan Tree. As years go by, the value keeps increasing as much as its foundation gets stronger. The number of points of connection to the earth (the world of information) just keeps increasing. The tree just gets stronger!